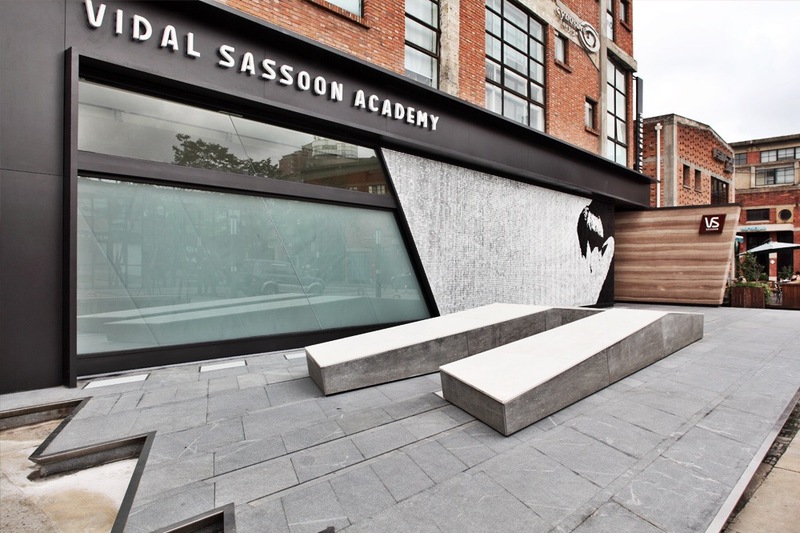 The Sassoon brand has long been at the forefront of design, starting with their roots in the Bauhaus and continuing today with their unique teaching methods and styles. 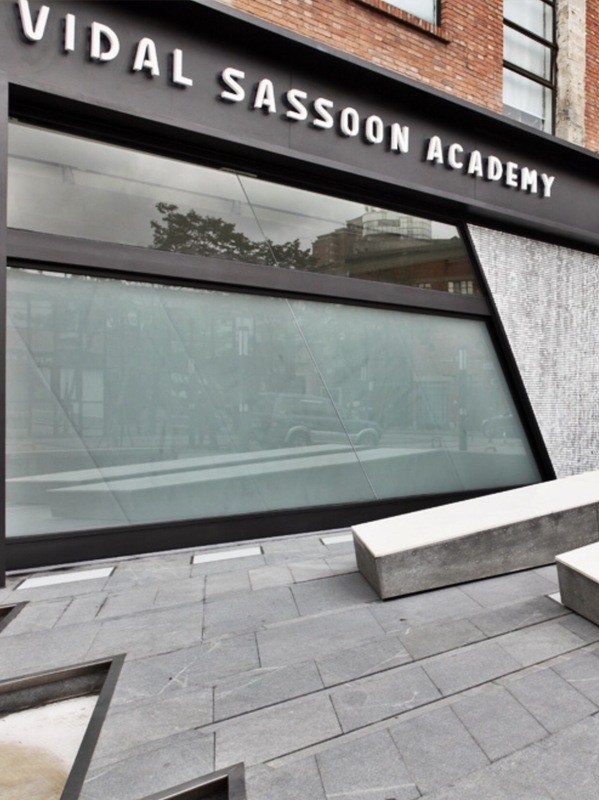 The challenge of setting the Shanghai school as the new standard for China and the world was one that Sassoon took very seriously, extending it all the way into green initiatives. True to its philosophy, A00 Architecture required that the design be able to tell its own story. 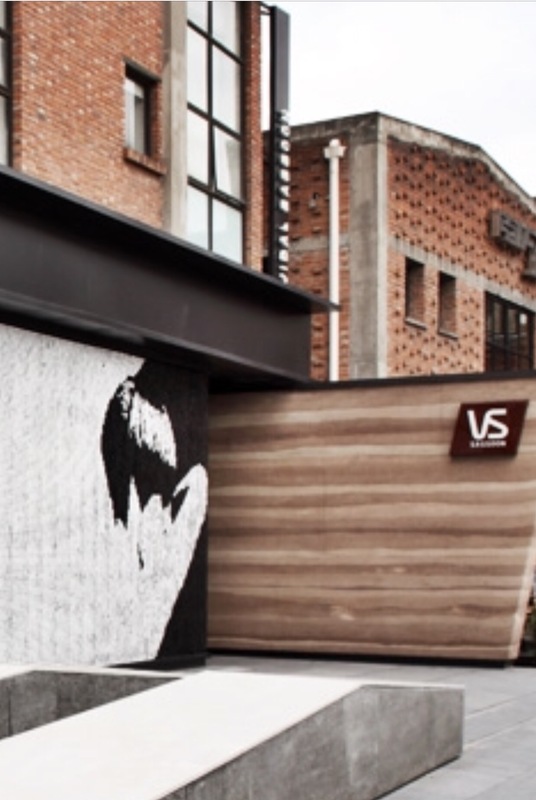 Both inside and out, the project needed to express cutting edge hairstyling, innovation and ecological responsibility. In order to achieve this the Architects centred their design around the concepts of Shear and Layers; working principles that are fundamental to both Architecture and Hairstyling. This story is most well expressed by the sheared and highly layered rammed-earth wall marking the entrance of the Academy. 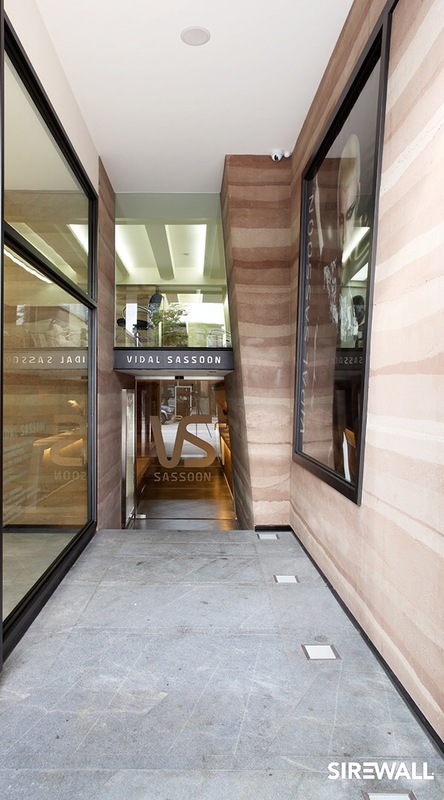 Projecting from the building, it serves to engage the public in Sassoon’s culture, a priority that was carried through the design of the entire facade. 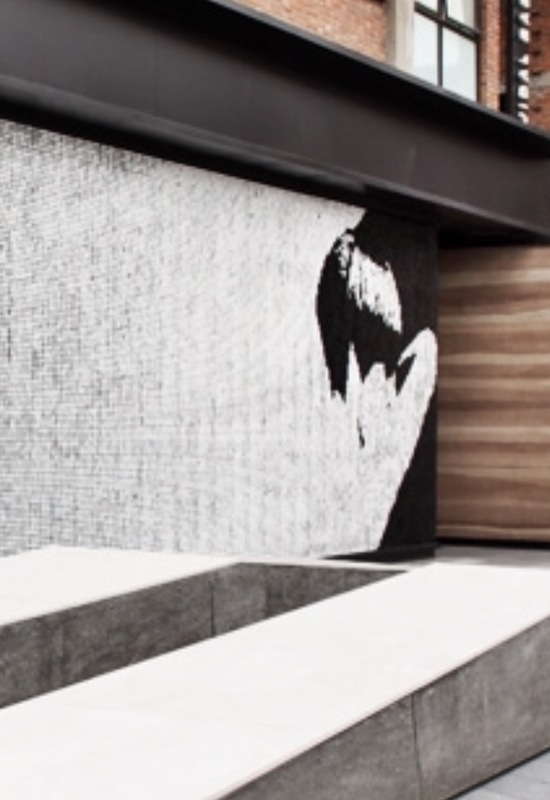 Next to the rammed-earth is a pixel wall that flows with the wind, mimicking the subtle shifting of hair and inviting the public to take a closer look. Finally, the remainder of the facade is a massive sliding wall which reveals an auditorium, claiming the plaza in front of the Academy as its own public stage. Designed to accommodate 60 students and staff, the Academy is located in a refurbished steel factory and uses a simple palette of materials: earth, bamboo ply, stainless steel, and aluminium panels. 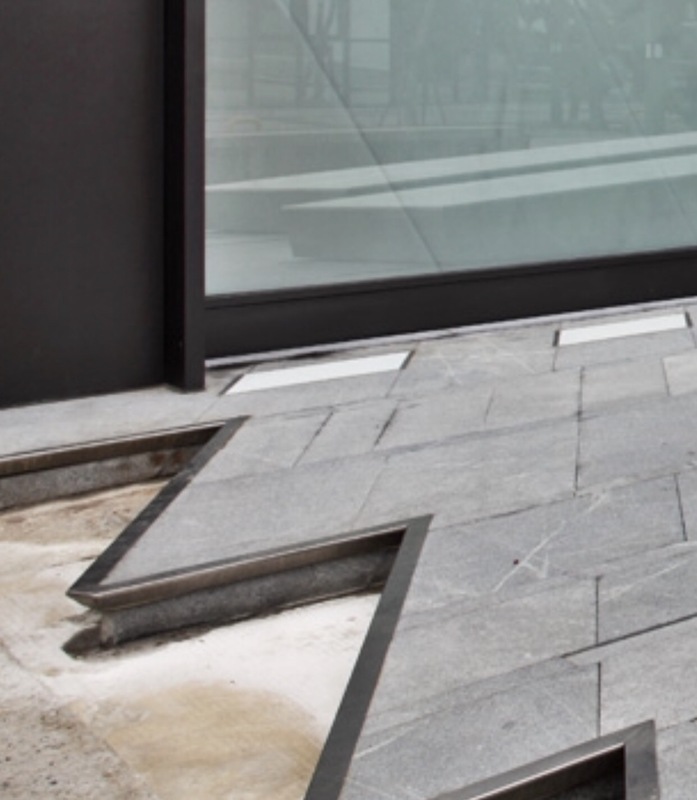 Openings carved out between the spaces are used to emphasise the concept of layering, both inside and out. Similarly, compound angles reflected by dozens of mirrors reinforce the concept of shear. Now becoming ubiquitous, low to no VOC paints and finishes were used throughout the Academy, as well as LED and CFL lighting. Additionally, the Academy pioneered the use of a grey water system to pre-treat their discharge water.